Now updated for today’s bullish real estate market, this is the go-to, classic entrepreneurial guide for landlords and real estate investors who want to buy and manage rental properties for long-term wealth. There’s never been a better time for buying rental properties—interest rates are low and credit is more freely available to those who want to buy and invest. But where does one begin? 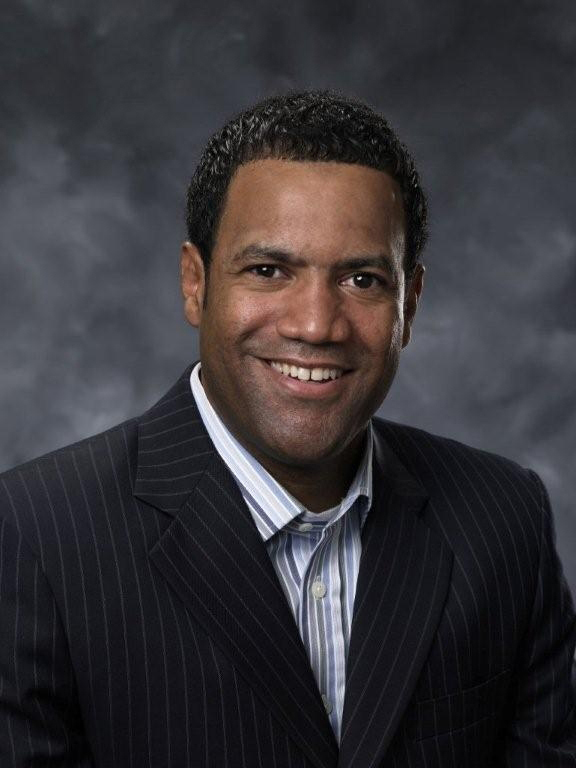 With more than twenty plus years of experience in real estate and as the founder of The Landlord Property Management Academy, Bryan M. Chavis knows all phases and aspects of working with rental properties. In Buy It, Rent It, Profit! he explains why rental properties are such a wise investment in today’s real estate world and outlines the steps and systems you need to implement to become a successful landlord and property manager. This updated edition of the modern classic includes advice on being a profitable and professional landlord, protecting your investment, learning what types of property you should be purchasing, and adapting to the ever-changing world of technology in real estate. Chavis also provides systems on how to attract quality tenants, negotiate lease agreements, collect rent, finance a mortgage, and manage the property overall—everything you need to become a smart, profitable, and professional property manager. In addition, this updated edition features a workbook section with easy-to-use, universal forms for leases, evictions, property evaluations, and more. Buy It, Rent It, Profit! is the ultimate how-to procedures manual for buying and managing rental properties and a practical, realistic tool you can follow to become a profitable landlord and property manager. Gold slippeth away from the man who invests it in businesses or purposes with which he is not familiar or which are not approved by those who are skilled in its keep. We are all looking for ways to get wealthy. Some people might not state this so bluntly, but let’s face it—we all crave the security that money can bring. But it’s important to note that wealth doesn’t have to mean greed. Wealth can buy you more time off to spend with your family, good education for your children, better health care, and the freedom to live the life you want to live. Wealth to me means freedom. I want to have enough money to take time off to travel with my wife. I want to be able to help my parents live out their retirement years in comfort. And I want to give back to my community, particularly to help at-risk children have opportunities to make something out of their lives. All this takes time and money. Money buys me this time, and it provides me with these things that are so important to me. The bookstore shelves are lined with titles that promise to reveal the “secrets to success.” I was once one of those staring at a wall of titles and wondering which one would help get me to the place I wanted to be. If you’re anything like me, you’ve probably already learned what makes the “millionaire next door” tick and how to “think and grow rich.” These are great motivational books—they help you figure out what path you want to take toward building your own life of financial security and freedom. But if you’ve picked up this book, you probably want something more . . . specific advice on how to build that wealth through one of the smartest methods around: real estate. I’ve been working in the apartment industry, where I received my Certified Apartment Manager (CAM) designation, for more than twenty years, first as a manager of large rental complexes and later as an owner. I’ve worked on every type of property—from single-family homes to thousand-unit apartment buildings, and just about everything in between. Several years ago, before the first edition of Buy It, Rent It, Profit! 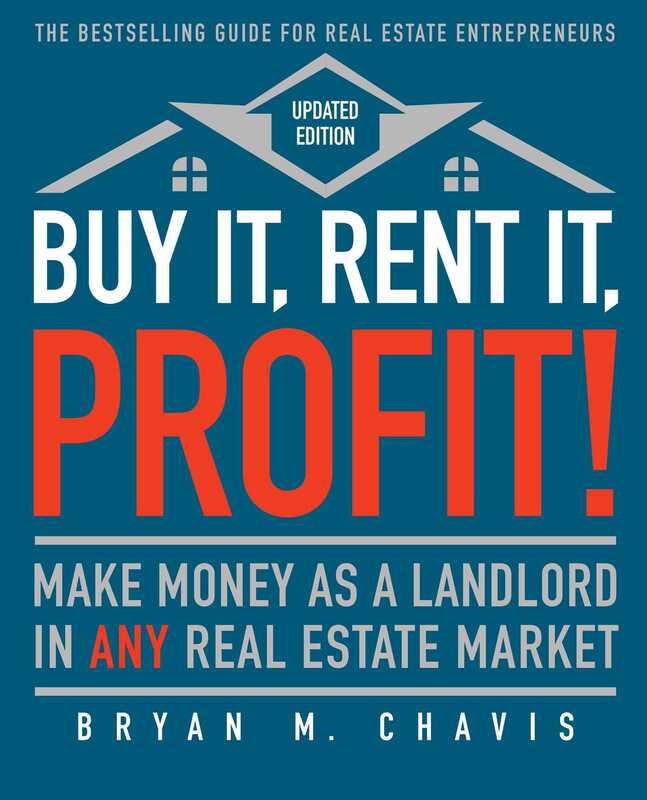 was published, I decided to put all the advice, systems, and “best practices” I’ve developed over the years into a book and seminar series called The Landlord Academy (www.landlordacademy.com). After working in real estate for so long, I had grown really dissatisfied by what I’d seen in the marketplace and by all of these speakers blowing into town to host seminars on how to get rich in real estate. Typically, they had a line out the door of people looking for advice, but I knew that those so-called experts were just opportunists who were taking advantage of people who legitimately wanted to create wealth through real estate. Almost everything they were teaching people about successfully investing in real estate was wrong, and I made it my mission to show people the right way. I was going around to real estate associations and sharing my information with their members. At one of them, I met a guy who was a manager at Kinko’s. He let me use his store’s broom closet to host my own small meetings, and that was the beginning of my company, which came to be called The Landlord Academy. Meanwhile, I had also written a manual that would guide real estate professionals through every step of the investment process, including how to run their properties on a day-to-day basis and treat every investment like a business. It was called the Landlord’s Operations Manual, and I was selling it directly from that Kinko’s broom closet and out of the trunk of my car. That manual ultimately became the basis for the book you now hold in your hands. When Touchstone (part of Simon & Schuster) first agreed to publish Buy It, Rent It, Profit!, they started with just a tiny printing. It was 2009, the world was in the throes of an economic crisis, and of course the real estate sector had been hit especially hard. The good people at Simon & Schuster were probably more than a little apprehensive about how well a book on real estate investing would sell during the Great Recession (in fact, my editor later confessed as much!). But I knew the answer: The principles, strategies, and systems I teach in this book are time tested, and they work in any economy. And sure enough, that small first printing turned into a dozen more reprints, and Buy It, Rent It, Profit! became a category bestseller on Amazon. Since then, through the book, my website, and many, many speaking engagements (in rooms much larger than a broom closet, thankfully), I’ve trained hundreds of thousands of would-be rental property owners, some of whom have gone on to be property moguls in their own right. Our academy has become one of the industry’s leading consulting and coaching programs. And the good news is that, in order to be successful, you don’t have to have a hundred units—a single-family home or a duplex is just as viable for your first move as a rental investor. And, as I’ll show you, it’s a heck of a lot safer to hang on to property for the long term than to try to work the market with risky “fix-it-and-flip-it” schemes. That’s part of the reason so many investors got in trouble in 2008. The beauty of rental investing is that you can choose the steps you want to take and decide when you are ready to take them. The key, of course, is performing your SEOTA (my own method for evaluating the right rental properties, which you’ll learn in this book) and allowing this process to help you choose wisely. I’ll give you all the tools, checklists, and operating systems you will need to make that first choice with confidence. That is my commitment to you. And I also promise that these principles will work every time, no matter what the current economic state is. Read on to learn how Mitchell and Thelma, two of my Landlord Academy success-story clients, put these systems into practice and used them to succeed even in the midst of the market crash. Mitchell and his wife, Thelma, attended several of my Landlord Academy training courses around 2004. They were recently married with two young children, and were looking for a way to build wealth. Their financial state was OK (but not perfect) when they came to me. They both had steady jobs (though neither was pulling in the big bucks) and they had decent credit (with some outstanding credit card debt). But they also had a dream for the future: They wanted their kids to go to college (something neither of them had done), they wanted to be able to offer some security to their parents, and they had decided the 401(k)s they contributed to at work weren’t going to get them where they wanted to go fast enough. They wanted to take their financial destiny into their own hands. Mitchell and Thelma were living in an apartment and needed more space for their growing family. As a two-income family, they decided they were ready to buy a home. However, after attending some of my classes, they were excited to start their rental investment portfolio and were unsure if they should use their limited funds to buy a new home for their family, or continue to live in their apartment and buy a home to rent out. I get questions like this all the time. I usually suggest this: Why not do both? Why don’t you buy a rental property in which you can live and rent out the other units to help pay down the debt you’ll be taking on? Mitchell and Thelma had been looking at single-family homes in the $240,000 price range. I suggested that they explore buying a duplex for the same amount. They could live in one apartment and rent out the other apartment in the building to help defray the cost of the mortgage. The rental income would get them started on their journey to real estate wealth, and the family would have a larger place to live in. Mitchell called me a few months later to report that while the lure of that bigger, more expensive home had been powerful, they’d resisted the temptation. They thought about their long-term plans and realized that this first investment move needed to be a wise one. Buying a more expensive home would be okay. It would appreciate in value, and they would have some equity to use in the future for college or a real estate investment. But by buying a duplex instead, they would advance two moves, rather than one. They might not have some of the upgrades found in the more expensive home, but they would have more space to live in and an income-producing rental unit. If they had bought the single-family home to live in, they would have had to save up more money or wait a few years for the equity to build up to use to buy a rental property. Mitchell and Thelma had just accelerated their journey to wealth. They were smart in another sense as well. Now that they had a rental property, they used The Landlord Academy as a resource to get the training, operations manuals, and forms they needed to manage this rental profitably and legally. They took their first step seriously. It always amazes me when I see people put their entire savings at risk by buying a rental property without getting some training on how to run that property. The time and money you spend in training to be a landlord and researching the best property-management systems (whether you take a class, or you use the guidance offered in this book) will pay off tenfold. For Mitchell and Thelma, the price of enrolling in my Landlord Academy was far less than the cost of one eviction! You can use the same methods Mitchell learned in class by using the processes and forms you find in this book to purchase and operate your own rental property. Mitchell and Thelma found that by using tried and true methods of operation, they were spending less time running the place than they once did worrying about their financial future. Mitchell and Thelma knew why their goal of wealth was so important to them. They wanted to be able to pay for their kids’ educations. They didn’t want to work second jobs to earn more, because they wanted to remain actively engaged in their kids’ lives. And they wanted to have enough of a financial cushion to assist family members who might need assistance down the line. They wisely chose real estate as their method of achieving wealth. Then they were smart enough to find a step-by-step system to follow. This book will give you the tools to do the same thing. Are you thinking that you might as well put this book down now, because you don’t have good enough credit to get a loan? Don’t do it! When I started my real estate journey, my credit score was a shaky 582! One of the smartest things I did was immediately get some advice on improving my credit. As I was planning my path to wealth and educating myself on real estate investing, I was also taking small but steady steps to improve my credit. By the time I was ready to make an investment move, my credit had improved dramatically. The worst thing you can do if you have less than desirable credit is wait to do something about it. There are many companies that can help you improve your credit, as well as some simple steps you can take on your own. I’ll talk more about improving your credit in chapter 6. So, don’t be discouraged if your credit isn’t stellar right at this moment—you can still become a successful real estate investor. For a list of creditable credit repair services, visit landlordacademy.com. Mitchell and Thelma decided that purchasing a single-family home wasn’t the be-all and end-all for them at that moment. While that remained a desire, they were willing to put off realizing that dream for a while. They knew that if they acted strategically, eventually they’d be able to own a much nicer single-family home. What really convinced them that buying the duplex and renting the other unit was the wisest choice for them was that they understood and put to use the basic principle of leverage—using other people’s money to purchase an asset. We will talk more about the power and potential drawbacks of leverage later on, but for now you need to understand only that their down payment entitled them to own an investment valued at $240,000. In other words, they put a small percentage down and got to own a much more valuable property because the bank loaned them the rest of the value of that property. If you were going to make your riches in the stock market, to buy $240,000 of stock, you would have to write a check for $240,000! In real estate, you have to have only a portion of the purchase price in cash. The rest is loaned to you by a bank. Real estate is one of the few investment paths you can take that allows average people like you and me (who don’t have huge trust funds to get started with) in the door. In addition, your property will also appreciate in value. Let’s look again at Mitchell and Thelma to see several benefits of investing in rental properties. • The monthly mortgage of $1,350 that Mitchell and Thelma assumed with their first property was more than they had been paying before, but they had a tenant who was paying $850 a month to lease the smaller two-bedroom unit in the duplex. So, in effect, they were paying only $500 a month of their own money on the mortgage. That was far less than they had paid previously in rent. They were actually again using other people’s money—in this case, their tenant’s rent payments—to pay down the debt on the property. • As the mortgage balance decreases over time, they can refinance to have lower payments—until eventually the property is paid off. The rent Mitchell and Thelma collect (which has risen, and is likely to continue to rise over time) will eventually be equal to or greater than their monthly mortgage payment. Eventually, once that balance is paid off, they will be making a profit each month in addition to being free and clear of that original debt. • The appraised value of Mitchell and Thelma’s property will also continue to increase. Whenever they decide to sell the place, they will see an increase in their investment, which they can use to reinvest in other properties. • Perhaps just as important, they will benefit from 3-D tax advantages—deductible, depreciable, and deferrable. I’ll address each of these in more depth later on, but for now, keep in mind all these benefits of investing in rental property. Because Mitchell and Thelma followed my Strategic Evaluation of a Target Area (SEOTA) process to pick the right investment property (which we’ll learn about later in the book), they were able to locate the right rental investment for themselves in a desirable neighborhood. As the value of the property increased, so did the rents in the area. (If they’d bought a single-family home, all they would have gotten was the theoretical increase in value of the property and no actual increase in cash flow.) After a year, they were able to get an additional fifty dollars a month for the unit. Over time, that $850 two-bedroom unit was able to command a nice, even $1,000 a month: That meant only $350 of their monthly mortgage had to come from their own income. Mitchell and Thelma decided the benefits of rental property ownership were so great, they bought a small apartment complex with the money they had saved by renting out the second unit in their first building and using some of the equity that had built up. When they began eyeing other investments, they reached out to me again because they noticed a new trend in the market: Everyone was buying properties with “no money down.” I had noticed it, too. Right before the housing market crashed, the U.S. economy looked incredibly robust, but something just didn’t feel right. I believed it was all falsified, just an illusion created by Wall Street. It was funny money. They were packaging loans and products, and giving people money who really couldn’t afford it, and I was seeing it firsthand. I had a tenant who worked as a cashier at my local grocery store—a woman who could barely make rent every month—invite me to a barbecue at her new house after she secured financing from a lender. I saw this game of shells and knew that at some point it all had to come crashing down. So when Mitchell and Thelma asked me how they should go into their next investment, I said to be smart and put a little more money down. I told them things wouldn’t always be as rosy as they seemed now, so they needed to think about the future. Even though the downturn hadn’t hit when we were having that discussion, the truth is that the possibility of a downturn always exists. Real estate markets are cyclical—there are highs and lows—and I told them that the best thing they could do as investors was to prepare for the lows, even when things were going well. I told them to give themselves some wiggle room, just in case. Even though they didn’t want to do that, Mitchell and Thelma had trusted my teachings up to that point, so they decided to follow my advice. They put a little bit more money down, so just in case rents went from $1,000 to $700, they wouldn’t have to fold and foreclose. And that is exactly what happened. When people couldn’t afford to pay their rent on time, all the investors started going to foreclosure because their “zero-money-down” financing had sent their mortgage payments sky high. But not Thelma and Mitchell. They were able to survive by allowing the rent to go from $1,000 to $750 and still stay afloat. Sure, they had to cut some things and they had to lean up a little bit. But they didn’t have to turn their property back over to the bank like the rest of the nation did. The best part? Because Mitchell and Thelma leveraged that deal properly, they were in a position to weather the financial storm, and when the sun came back out they were able to look around and make a careful assessment. They saw all the foreclosures going up right in their own neighborhood, and they were able to pull equity out of some of their investments to buy some of those distressed properties on the cheap. Mitchell and Thelma already knew their neighborhood, so they recognized the good deals when they saw them. And even though rents were still around $750, their overall profits were high because they were picking up properties for less than half of what they had been priced the year before. Because they continued to follow the systems in this book, there were opportunities all around them. Today, more than ten years after they first became Landlord Academy students, Mitchell and Thelma have sold that first duplex, purchased a six-unit apartment complex, and are in negotiation to purchase a twenty-four-unit property. Mitchell has left his job with the parks and recreation department to oversee the operations at their mini real estate empire. By thinking strategically about their goals and the path to achieve them, today Mitchell and Thelma have a net worth of $1.2 million. Not bad! Mitchell and Thelma’s story is not unique. I’ve worked with hundreds of individuals who have achieved similar kinds of results by using the methods and practices I’ve employed myself and teach regularly. Not only have they learned about the importance of evaluating an investment properly before buying it to avoid costly mistakes, but more important, they have learned the arts of landlording and running these properties efficiently and profitably through my innovative landlording systems. While I’ve been fortunate to assist celebrity clients with significant capital to invest—guys like baseball superstar Gary Sheffield, boxing champion Winky Wright, and basketball’s great Chucky Atkins—the vast majority of my students don’t have lots of cash to invest. I’ve helped thousands of regular folks purchase a modest single-family home as a rental property, and just like in the game of Monopoly, these individuals and couples have gone on to purchase other properties with the proceeds from their initial investments! When you think about the whole idea behind Monopoly—to take a little green house and cash it in for a much larger red hotel with more cash flow—you realize that Milton Bradley had it right! And so can you. I am often asked if it’s better to buy single-family homes to rent out, or multifamily residences. Most people are shocked when I say my preference is multifamily. They’ve usually been told by many people to steer clear of apartments, that they are a management nightmare. This is the voice of inexperience talking. By eventually upgrading their investment portfolio to apartment units, Mitchell and Thelma benefited from something called economies of scale. What does that mean? It simply means a single-family home will generate only one source of income because you have only one tenant. If property taxes go up, which they will, or if insurance goes up, which it will, you still have only one major source to control these rising expenses. You can raise the rent on your one tenant only so much until what you are charging in rent is unreasonable and unrentable. This is where most investors make their mistake. With multiunits you are benefiting from the economies of scale. You have more sources of income coming in to not only help control expenses but also to provide cash flow. You can spread your increased expenses over several renters so it’s less impactful—and so you can retain the good renters and not go through the added expense of soliciting and evaluating a new tenant. Also, multiunits are actually safer in times of economic turmoil. How? If you are renting out a single-family home and you have one vacancy, what’s your vacancy rate? That’s right: 100 percent. But if you have a duplex and one of your units is vacant, you have only a 50 percent vacancy rate. You’re still bringing in some revenue. Clearly, the more units you have to rent, the less a single vacancy affects your bottom line. But aren’t multiunit buildings more work to manage? Actually, no. It’s systematically far easier to manage one set of units than multiple single-family homes in different locations. I’d rather make a trip to one four-plex and deliver all my notices or collect all my rent than have to drive to a bunch of different single-family homes. That said, there is nothing wrong with starting out with a single-family home as your first investment, but make sure that you are employing your SEOTA (the checklist to evaluate your property, which we’ll discuss in chapter 4) before you buy. The upside with buying single-family homes is that the barrier to entry (price) is generally lower, but the downside is that the margin for error is a lot smaller, so it’s important that you properly analyze the deal. We will talk about buying foreclosed properties at length later on, but I warn you that all that glitters may not be gold. Just look at the mistakes so many speculative investors made ahead of the crash. Don’t make the same mistakes they did. It’s easy to get caught up in the moment, but you have to think strategically. With the tools I’ll give you in this book, you’ll learn how. Mitchell and Thelma’s success has allowed them to live their version of the American dream. They are not only providing for themselves and their children and their family today, but they are securing a sound financial future for themselves and for generations to come. They aren’t necessarily what I would call “rich” because they learned early on that riches come and go—often going just as quickly as they came. There is a big difference between being “rich” and being “wealthy.” Wealth is long-lasting and can stand the test of time. It isn’t as subject to the kinds of fluctuations and factors that were dominating headlines and creating jitters in Americans of all ages and income levels when the first edition of this book was published. Wealth is a long-term, strategic plan. Riches are a onetime move to make some money. Getting rich is like checkers, one move at a time, with not a lot of thought given to the next. Acquiring wealth is like chess, a strategic plan where you always have your next three moves planned out in advance. In many ways, Mitchell and Thelma are the epitome of investors—they have learned that investors can make money in any market if they learn to read market conditions and make the proper investment at the proper time. They don’t get suckered into what everyone else is doing. Often by the time you hear what “everyone else is doing,” that strategy is drawing to the end of its effectiveness or going to collapse because everyone will do it all at once. A great example of this is the condo craze of 2004 to 2007. Huge numbers of apartment communities “turned condo” and sold their apartment units as condominium homes. Some investors made tons of money with this strategy. Others jumped on the bandwagon only to find that the market was saturated, with too many condos for sale and not enough people to buy them. In fact, I watched the banner at an apartment complex near my house go from reading “Now Leasing” to “Condos Starting in the $260’s” to “Condos in the Low $200’s” to “Condos Starting in the Mid $100’s” back to “Now Leasing” in the span of a year. Smart investors learn to forecast the market and plan for where the market will be, not where it is right now, and assess economic conditions to ensure that they are working in their favor and not their detriment. They look toward the horizon, and not a few feet in front of themselves. In 2008, the economy taught us a tough lesson about the cyclical nature of real estate. But I’m worried that people are starting to forget. And that’s what Wall Street wants you to do. They want you to forget about all of the mistakes that were made. I’m telling you not to forget. There are opportunities to be made in recovery, as there are opportunities to be made in a downturn. But the only way to maximize in either situation is to apply basic fundamentals. With current interest rates so low, people are beginning to advertise their get-rich-quick schemes again, and I’m beginning to see some of the same mistakes being made. Interest rates are low and the government is trying to stimulate the economy because, right now, there’s not a lot to entice anyone to jump into home ownership. Now, that’s beneficial from an investor’s standpoint, because with low interest rates you can possibly buy yourself a duplex or a quad and take advantage of current opportunities in the real estate market. Simply put, you can get more for your money. But the problem is, as soon as you get a good, robust economy, interest rates will start rising again, and that cycle will be fed by more favorable access to capital to—again—entice people into the market. Rates will continue to rise, and then, once they peak, the government will shut it all down. Employment begins to go down, followed by the interest rates. Then you’ll have another crash and recovery. It’s an inevitable cycle that you must learn to recognize and navigate if you are going to be a successful investor. True investors are not speculators—those whose vision is fixated on the short-term, get-rich-quick, fix-it-and-flip-it game. Speculators usually have one short-term plan and can get caught off guard if conditions change and that one plan doesn’t work. You really can make money in any market. But you have to know how to recognize the market and apply the right strategy to it. In my quest for wealth, I have investigated all the strategies. My friends called me crazy when I didn’t run out and buy a condo to rent during the condo craze and they called me crazy when I didn’t snag up some homes to “flip” during the fire-hot real estate market of the early 2000s. I am not saying those would have been bad things to do, but they weren’t a part of my long-term plan for wealth. I had my resources pointed toward the one strategy I’ve found that consistently, over the long term, outperforms every other real estate investing strategy (and any other type of investing for that matter) and that’s rental investing. Now, lucky for you, you don’t have to roll the dice with your first investment move. This book will provide you with the steps to narrow down and select the right neighborhood to invest in, and then to evaluate a specific investment property. I’ll help you navigate the tricky waters of securing financing and closing on your deal. Then, once you are officially a “landlord,” this book will provide you with day-to-day systems to manage your property efficiently. When you have control over each of these things, you ultimately have control over value! That means that you have control over profit as well. You don’t get that in most investment vehicles. I know Microsoft certainly didn’t call to ask me what I thought about releasing a new software program, though I had put my hard-earned money into buying their stocks. Now I control my investment dollars, and you can, too. In this chapter, I’ve given you a preview of the advantages of the Buy It, Rent It, Profit! program. In the next chapter we’ll explore why this is really a better plan in the long term than the other hot real estate trend in recent years, the “fix it, flip it” mentality. And I’ll tell you a little bit about how I developed this program, so you can benefit from my hard-won wisdom and use the best practices I’ve developed over years of rental property investment to buy, manage, and grow your own rental empire. I went by the field of the lazy man, and by the vineyard of the man devoid of understanding; and there it was, all overgrown with thorns; its surface was covered with nettles; its stone wall was broken down. When I saw it, I considered it well; I looked on it and received instruction: A little sleep, a little slumber, a little folding of the hands to rest; so shall your poverty come like a prowler, and your need like an armed man. Bryan Chavis is founder of The Landlord Property Management Academy and author/creator of one of the top property management designations/certifications online. Chavis runs one of the top blogs for real estate professionals at LandlordAcademy.com and is a property management coach for Keller Williams MAPS. Named one of the top 40 up-and-coming entrepreneurs under the age of 40 by the Gulf Coast Business Review, he travels the country coaching real estate professionals, and consults for some of the largest housing authorities in the nation. Chavis lives in Tampa, Florida, with his wife and their daughter.